Beaumont Hill Academy which is part of the Education Village Primary, is a specialist provider for children with special educational needs aged 2 – 19. Children who attend the school will usually have a Statement of Educational Need or an Education, Health and Care Plan. 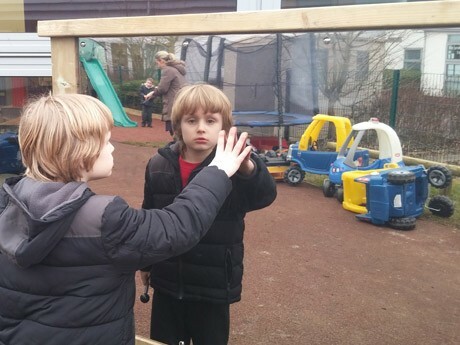 They cater for students with complex learning needs, students with autistic spectrum conditions and others with identified social, emotional and behavioural difficulties. 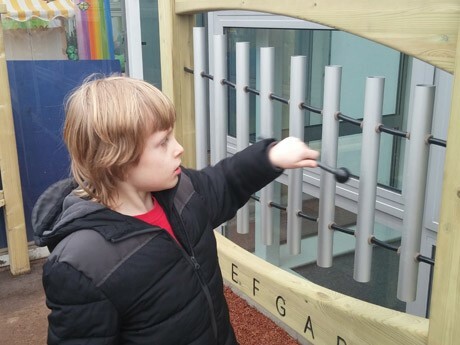 Beaumont Hill is an exciting and dynamic school in which there are opportunities for every child to succeed in their own way. 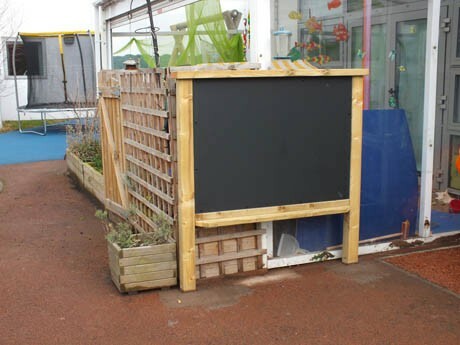 They offer a curriculum that meets the very diverse needs of all their learners, they also recognise that by utilising their outdoor spaces they will provide further opportunities for inclusive activities and enhanced social experiences. 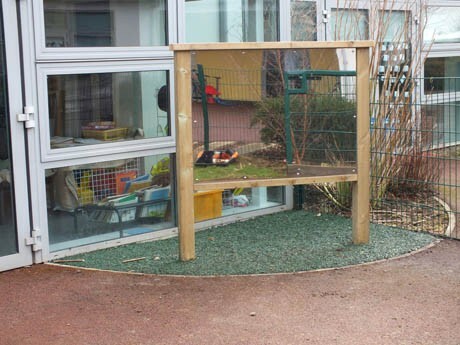 In September 2014 Pennine Playgrounds were invited into Beaumont Hill to discuss their ideas for the development of their school playground for children on the autistic spectrum. 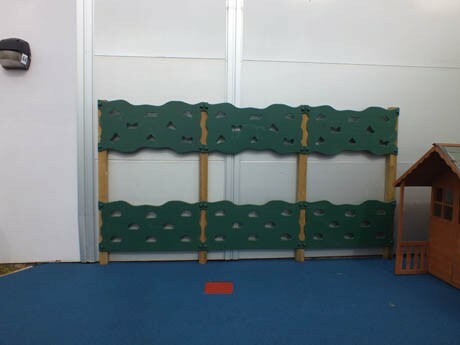 The school had some very specific ideas about the type of playground equipment required and the positive outcomes they believed could be achieved. Following on from the initial meeting we took in to consideration the ethos and values of the school whilst incorporating a combination of products and surfacing that were suitable for the area. 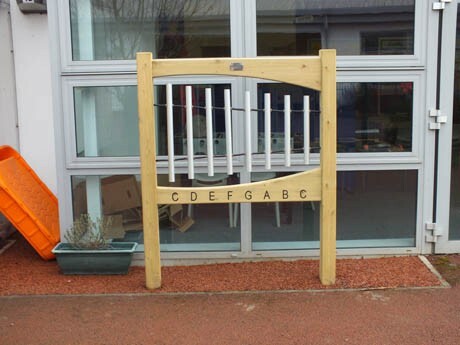 The challenge was to provide a design that was a safe and stimulating learning environment that met the needs of all the children whilst working to a specific budget. 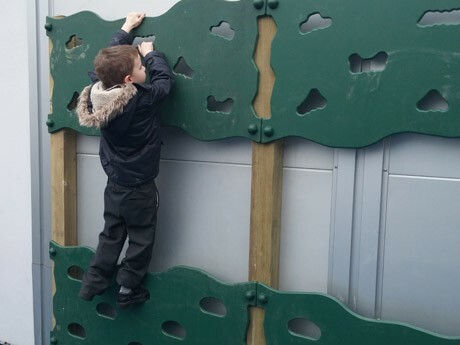 The fantastic new area had opportunities to engage children in physical development with a new climbing wall, balance beam and a basket swing. 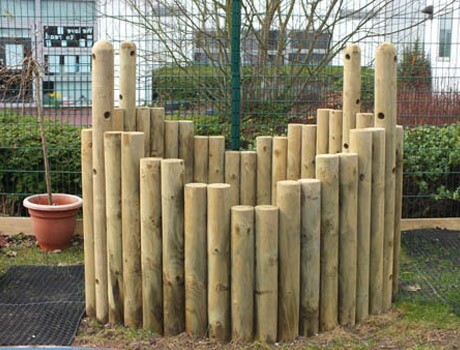 An open ended log circle with den making poles was installed to provide a calm, quiet space. Other products installed into the area included a sandpit, mirror panel, chimes panel and chalkboard as well as a variety of muted coloured tones within the different surfacing types to define spaces and provide a natural and calming effect to the environment. The outcome of the partnership between Pennine Playgrounds and Beaumont Hill Academy has been to provide a fantastic new space that has made a difference to every child. 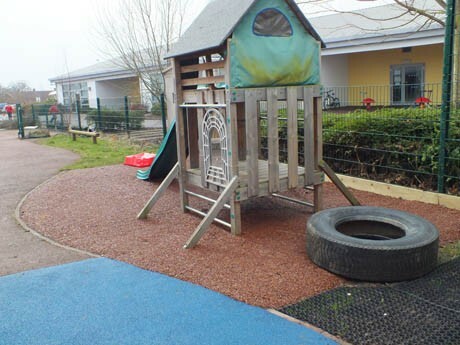 Jill Scott (PFI & Project Manager) said “In September 2014 three contractor quotes were considered for the transformation of a rundown playground used by primary autistic children at The Education Village in Darlington. Each contractor visited the site and considered our needs and then submitted their proposal. A panel of relevant staff were involved and met to scrutinise the proposals. 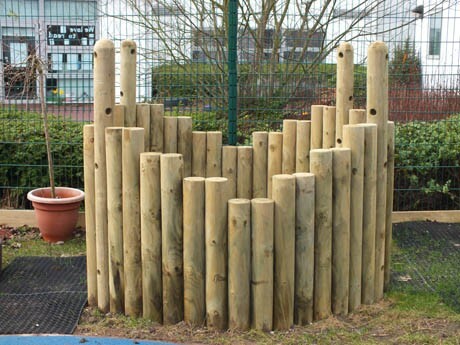 The Pennine Playgrounds quote was unanimously voted as the preferred supplier and we have no regrets. 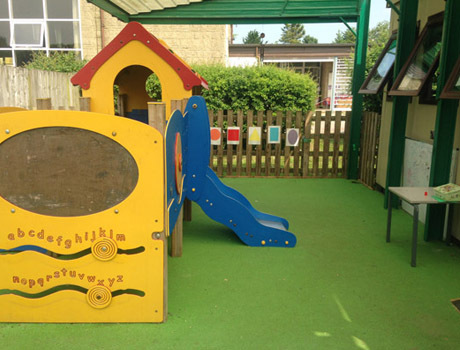 Our liaison with Pennine Playgrounds was predominately through Paul Kavanagh, his knowledge of play equipment available to meet the special needs of our children impressed everyone along with Paul’s flexibility and enthusiasm. Once the order was confirmed and approved by school the construction team arrived during the January school term as we required the work to be done as soon as practically possible. The installation went without a hitch, there was very little noise and the job was maintained immaculately. The team was professional and efficient with the same passion to provide a high level of service as Paul. 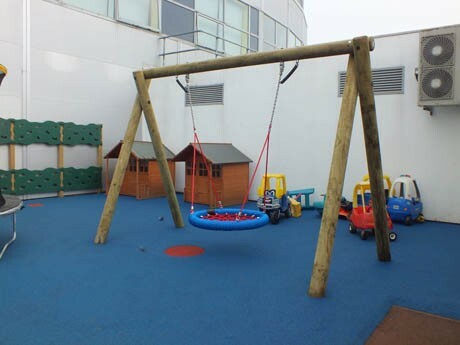 The quality of the materials has provided the school with the reassurance that the new playground will last the test of time. The Pennine Playgrounds fitters were really helpful and had high standards. 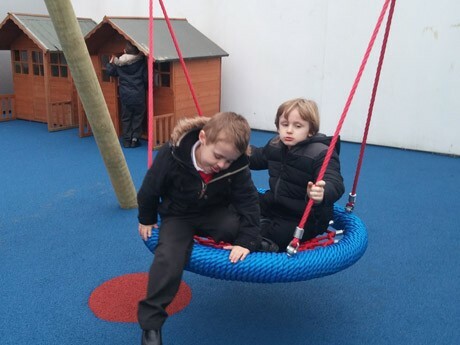 The end product has provided a first rate play area for our children who can be found enjoying their new space in all weathers.